Personal loans are easy-to-get, quick, convenient and flexible. So, it is of no wonder that personal loan is one of the most popular financial products in the country. In spite of its popularity, most Indians feel the need of risk aversion and more often than not, they want to go for personal loan pre-closure whenever their finances allow it. What does personal loan pre-payment mean? Pre-payment or early repayment is a payment you make towards your personal loan repayment before the completion of your loan tenure. When should you consider pre-closing your personal loan? The best time to pre-close your personal loan is in the initial stages of the loan tenure. If pre-payment is done relatively early into the loan tenure, you tend to save a lot of money on the interest. There are two ways of making pre-payments: paying off the personal loan completely or paying it by part. Banks cannot stop you from making pre-payments, however, they can charge you a penalty for it. Most of the banks levy pre-closure charges for a personal loan ranging from 1-4% of the outstanding amount. Usually, banks have a lock-in period of 1 year. If you want to pay off your outstanding amount in full or part, you will have to wait until the lock-in period ends. Let’s assume that you take a personal loan of ₹ 4 Lakh at an interest rate of 14% for 3 years. You’ll pay off ₹ 1,15,263 of the total outstanding principal amount during the lock-in period. You’ll be left with a principal amount of ₹ 2,84,737 once the lock-in period ends. A part payment of ₹ 1,00,000 once your lock-in period ends will reduce your outstanding principal amount to ₹ 1,84,737. Interest will be charged on the reduced outstanding amount, thus helping you save a significant amount. With the help of the same example, let’s understand how personal loan full pre-payment is beneficial. You’ll pay EMI of ₹ 13,671 every month. You’ll have to pay a total interest of ₹ 92,158 during your entire loan tenure. You’ll pay a total interest of ₹ 48,790, that is, approximately 52% of total interest cost during the lock-in period. Paying off your entire outstanding amount once the lock-in period ends will help you save 47% of the interest cost, that is ₹ 43,368. If you decide to pay off your entire debt at a later stage, you still will be able to save a substantial amount of interest cost. So, what’s the bottom line here? Pre-payment can benefit you if you make it in the initial phase of your personal loan or as soon as your lock-in period ends. If your bank charges a penalty for full pre-payment or part pre-payment of your personal loan, weigh which option is more beneficial, paying the penalty or saving the amount in interest and then decide your next move. 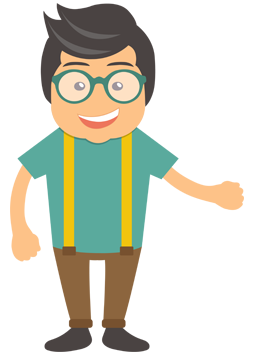 How can you pre-close your MoneyTap Personal Loan 2.0? 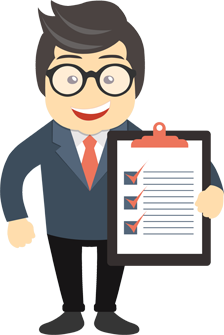 To foreclose the loan, you need to contact the bank/NBFC you have been approved the personal loan from and inform them about your desire to foreclose the loan. For any app to bank account transfer foreclosure, there are no additional charges. For any credit card spends converted to an EMI foreclosure, 3% charges apply. No part pre-payment is allowed. What are pre-closure charges on a MoneyTap loan? There are no pre-closure charges on a MoneyTap personal loan. How does my CIBIL score gets affected on pre-closing a loan? There is no immediate effect on CIBIL if you pay off your ongoing personal loan completely. However, in the long run, closing a loan successfully does have a positive effect on your credit score. On the other hand, partial or part pre-payment doesn’t have any effect on your CIBIL, although it reduces your total loan burden. What is the personal loan pre-closure procedure? If you have decided on pre-closing your personal loan, these are the steps you need to follow. Contact the branch where you have taken your personal loan. Ensure that you have all the documents and your chequebook. Express your intention to pre-close your personal loan to the loan officer. The loan officer then will determine the outstanding amount and penalty if applicable. You will have to submit a DD/cheque for the penalty charge. Once the lender/bank processes your cheque /DD, you’ll receive a personal loan pre-closure acknowledgement receipt within 2 weeks. 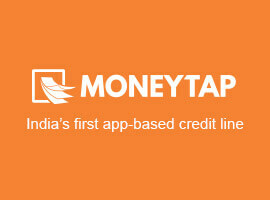 Note: As of now, MoneyTap offers only personal loan full pre-payment option. Note: Personal loan pre-payment option is not available for DMI approved customers. Apply for MoneyTap’s personal line of credit and avail of funds in the form of quick loans 24/7 with just a tap on your phone.